In Yonne, Burgundy, a unique construction site is creating a genuine fortified chateau of yesteryear. Starting in 1997, completion date is scheduled for 2022. At first sight, the men are grinning, and completely crazy. Dressed in authentic homespun clothing, and working in a quarry in the depths of the dense forest, this could be a film-set, but they are recreating the year 1246, in the reign of Louis IX of France. This outstanding ‘Living History’ project was inspired by Michel Guyot, who owns the nearby Chateau de Saint-Fargeau, and had the idea of building a 13th-century style fortress following the discovery that the 15th-century red bricks of his castle obscured the stone walls of a much older stronghold. 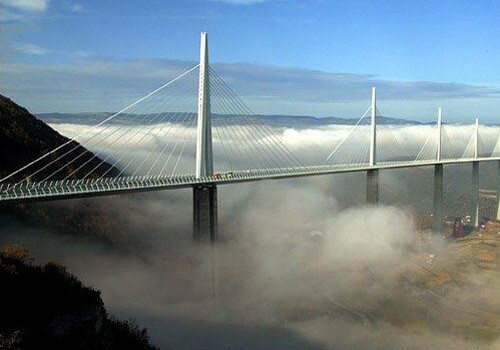 The Millau Bridge is in southern France and crosses the River Tarn in the Massif Central mountains. It was designed by the British architect Norman Foster and French structural engineer Michel Virlogeux. At 300m (984 feet), it is the highest road bridge in the world, weighing 36,000 tonnes. The central pillar is higher than the famous French icon, the Eiffel Tower. The Bridge opened in December 2004 and is possibly one of the most breath-taking bridges ever built. The bridge towers above the Tarn Valley and the aim of Lord Foster was to design a bridge with the ‘delicacy of a butterfly’. Lord Foster designed a bridge that enhances the natural beauty of the valley, with the environment dominating the scene rather than the bridge. 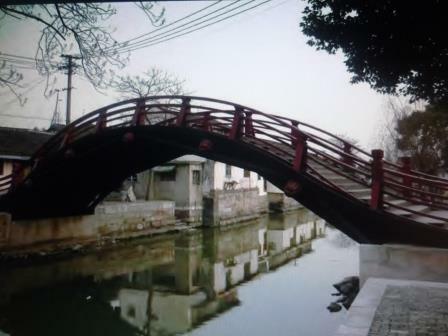 The bridge appears to float on the clouds despite the fact that it has seven pillars and a roadway of 1½ miles in length. On first sight, the impression is of boats sailing on a sea of mist. The roadway threads through the seven pillars like thread through the eye of a needle..
Will Crystal Palace rise again? 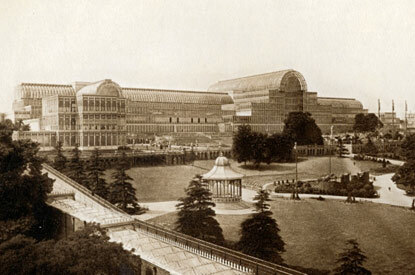 “Plans for a replica of the original Crystal Palace are being worked on by architects and developers. The original building was built by Sir Joseph Paxton in Hyde Park for the Great Exhibition of 1851, 160 years ago. After being moved to a location in Sydenham, now known as Crystal Palace Park, it was destroyed by fire in 1936. The plans for a new building, estimated to cost £220million, incorporate galleries, a snow slope, music auditorium, leisure facilities and a hotel. However, a rival scheme for the park has been put forward by the Mayor’s London Development Agency. It is proposing the construction of 180 private houses in the park, despite local objections. The new homes would be built on the site of a caravan park. The £67.5million scheme also includes student accommodation, landscaping and various improvements to the park itself as well as a new regional sports centre that includes an indoor swimming pool. Plans were approved after Public Inquiry in December 2010..
Continue reading Will Crystal Palace rise again? 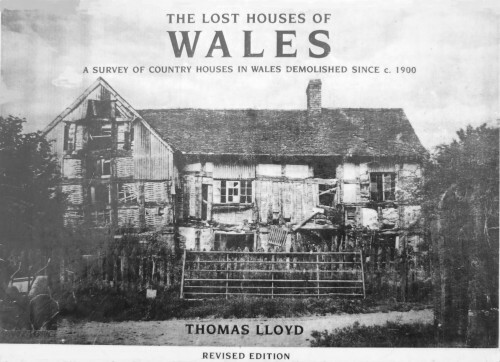 The Lost Houses Of Wales A Survey Of Country Houses In Wales Demolished Since c.1900 by Thomas Lloyd. SAVE Britain’s Heritage, London, 1986, revised 1989. This important book is more than simply a valuable reference work, it contains a message that shocks, and almost every one of the 356 buildings depicted either no longer exists, or is in a severely ruinous state. According to a brief survey, the situation has only improved for approximately twenty of the smaller properties since. In addition, there are more buildings of equal value in Wales not included in Thomas Lloyd’s survey. Compare this, for example, with France or Germany, and other countries, or even England, where such buildings are given much greater consideration for their historical or aesthetic value, and of course tourist potential. 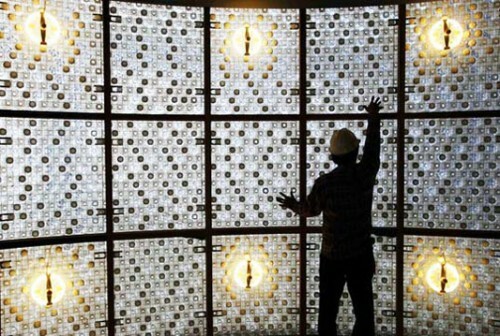 There is no denying even buildings have to earn their way..
Alex Chou of Miniwiz shows off the company’s recycled plastic bottle building blocks, which have been used to construct a fully functional five-storey building in Taiwan..
Great concept, but it’s not exactly a new one. It reminded me of Heineken’s WOBO experiment almost 50 years earlier. Alfred Heineken was on holiday in the Caribbean island of Curaçao, and was dismayed to see thousands of glass beer bottles littering the beach, many of them bearing his name. Back in Amsterdam where the Heineken brewery was based, the average bottle was recycled 30 times. But on a small island like Curaçao, with neither the means nor incentive to recycle, each beer bottle was used once and discarded. In the peaceful solitude of its secluded position it is possible to imagine just how Forde Abbey, near Chard, along the Somerset/Dorset border, looked to many of its previous owners, from its mediaeval beginnings to the present day: monks going about their daily round of work and prayer, prosperous parliamentary gentlemen discussing the cavalier threat, gifted philosophers debating the imponderable, elegant Victorian ladies fanning themselves by the fireside and country gentlemen going about their work on the estate. In 1136 Richard de Brioniis founded a Cistercian monastery at Brightley in Devon. However, the land was too barren for an agricultural community, forcing the monks to return to Surrey in 1141. On their journey, they met their former patron’s sister and heir, Adelicia de Brioniis. Determined to honour the wish of her dead brother, she offered them the use of the Manor of Thorncombe and a site on the River Axe. 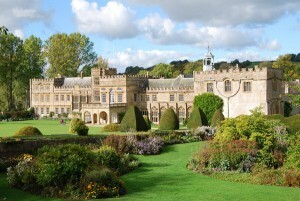 They accepted and within seven years the monastery of Forde Abbey was built.